Your smile is one of the first things people notice about you. It really is like your signature or handwriting. It is what happens at first contact in those first few seconds when people meet you that counts, should that initial impact be important to you, say for job interviews or in a social setting. 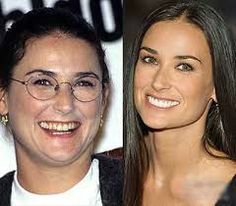 If you’re not content with the way your teeth look, this can have a huge negative impact on your self-esteem. The team at Wimbledon Dental Spa are trained in this first contact, it’s what we do, cosmetic and general dentistry. Cosmetic dentistry, like visiting the hairdresser or using cosmetic skin treatments, is a very effective way of improving your appearance and making you feel good about yourself and your smile. There is a huge range of cosmetic dentistry available at Wimbledon Dental Spa. You are invited to talk to one of our experts to find out which treatments are suitable for you and your needs. A smile analysis (or smile design) can be done to show you what can be achieved ie aesthetically or cosmetically, whatever your preference is. We will take a full set of photographs and assess how people view your smile and more importantly, how you perceive your own smile. We take impressions and record your initial correct (or incorrect and then we put it right first!) biting position. 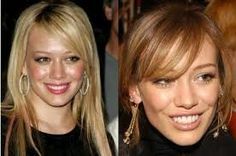 Models are made of your teeth and a duplicate so that we can make changes on them in order to show you first hand what we can do and gain your opinion. Sometimes this is translated to a photograph to give you some idea of what the end result may look like. We then sit down with you and look at your dental health and establish what you want to achieve from your dental treatment. We plan ahead so that your teeth stay strong and always look healthy. Our specialist and general dentists, hygienist/therapist and lab technicians always explain treatment options thoroughly to patients, but you can see a general overview below to introduce you to the treatments on offer. Fluid abrasion, or drill free dentistry, is a new instrument that can be used as an alternative to the drill in many procedures. Fluid abrasion uses a stream of fine particles and compressed air to cut the tooth or old white filling instead of using a conventional drill. This technology allows us to prepare many types of cavities without the need of a drill. Better yet, there is no direct contact with the tooth so it removes decay and damaged tooth structure with many benefits and no drawbacks. Fluid abrasion can be used for numerous procedures, from small cavities and removing old white fillings to repairing small chips and tooth cleaning. There are a number of advantages when using air abrasion over the conventional method of drilling. Aquacut Quattro air abrasion and air polishing unit allows performing pain free cleaning and staining removal. Mrs Soin uses this system as part of her everyday hygiene sessions and sometimes as an alternative to traditional scaling to minimize the invasive and sometimes painful nature of dental scaling. She will also use different types of powder such as ‘Sylc’, which reduces sensitivity, or flavoured powders for those patients who do not like the salty taste of the Aquacut original cleaning powder. This patient-friendly system performs superior dental prophylaxis (cleaning) and stain removal. With the added use of water to the cleaning powder, AquaAbrasion or FluidAbrasion eliminates the mess traditionally associated with dental air abrasion. Mrs Soin will follow each use of Aquacut and scaling methods by a thorough polish, using high performance polishing pastes such as Proxyt and Colgate Pro-Relief. These will leave your teeth feeling smooth and will also reduce the risk of staining in the future. You must think about the surface of your teeth as the surface of a worktop. If the surface is left rough and non-polished, then stains will engrain themselves in the surface, whereas staining agents will run over and not be gripped by a very smooth finish. Veneers are thin slices of porcelain that are crafted to fit precisely over a patient’s front teeth, very much like a false fingernail. This treatment is used to improve the appearance of discoloured or unsightly teeth, for closing gaps between front teeth or repairing chips and cracks. Alternatively, composite veneers involve bonding tooth-coloured filling material to the front of the tooth and can be completed in one visit, without any preparation. Although these veneers are slightly more prone to staining and have a shorter life, they are easily replaced. Our policy is to work with minimal preparation in mind, removing the least amount of tooth as possible. Patients often visit Wimbledon Dental Spa because other dentists have told them they cannot keep their own teeth, whereas we will fight to keep as much of your teeth as possible. If a tooth is badly broken or heavily filled, the dentist may suggest a crown or ‘cap’ to improve its appearance and strength. Crowns are usually made of porcelain, but can also be made from metal alloy, silver, gold and even castable glass. Wimbledon Dental Spa uses the most up to date crown procedures available, including IPS e.max, Lumineers 360, Zirconia, True Vitality and Cerinate crowns, which ensures the crown accurately matches the rest of your teeth. At Wimbledon Dental Spa, we work closely with our lab technicians to ensure the best shade match, contouring and aesthetic appearance. We forward digital photography of your mouth to the laboratory and go through “mock-up” and provisional stages if necessary to ensure that you get the result you want. This involves taking impressions of your teeth from which plaster study models are crafted. On these models the technician, with the collaboration of the dentist, designs a simulation crown made of resin, giving you an idea of what it will look like and helping you to decide on the treatment that suits you best. Bridges are ideal for people who don’t like dentures or only have one or two teeth missing. Conventional bridges are made by crowning the teeth on either side of the gap and attaching a false tooth in the middle. These bridges are made of the same materials and fixed in the same way as crowns. We offer the most up-to-date materials such as Cerinate Porcelain, IPS e.max ZirCAD and Zirconia. At Wimbledon Dental Spa, we work closely with our lab technicians to ensure the best shade match, contouring and aesthetic appearance. We forward digital photography of your mouth to the laboratory and go through “mock-up” and provisional stages if necessary to ensure that you get the result you want. This involves taking impressions of your teeth from which plaster study models are crafted. On these models the technician, with the collaboration of the dentist, designs a simulation bridge made of resin, giving you an idea of what it will look like and helping you to decide on the treatment and material that suits you best. Adhesive or cantilever bridges are another way of filling a gap. These are made up of a false tooth with metal ‘wings’ on either side. These wings are made to bond to the teeth on either side, using a very strong composite resin, which means very little drilling of these teeth. Direct resin bonded composite bridges are another type of bridge which can be fabricated in your mouth without needing any laboratory phase. This means less appointment, no need for impressions and no preparation necessary to the adjacent teeth. We use composite filling material and resin based fibres such as Fiberglass or Fibersplint to fabricate the bridge directly in your mouth. At the Wimbledon Dental Spa, we avoid using mercury based filling as much as possible and opted out years ago in favour of composite resin based fillings. Not only do these white fillings not contain mercury, but they are aesthetically more pleasing and more tooth friendly as they require much less tooth preparation than traditional metal fillings. This means less of your existing tooth structure needs to be cut in order to place the filling, as these fillings rely on bonding techniques. We are also very careful when it comes to removing any old metal fillings you may have and that need to be replaced, in order to ensure patient safety. We will place a rubber dam to isolate the tooth treated so no mercury can be inhaled when the old metal filling is removed. Fillings are made to perfectly match existing teeth and look as natural as possible, using the highly effective Trushade system. We use filling materials and bonding agents of the highest quality to ensure the best aesthetic results, optimal functionality and longevity. Such systems are Empress Direct and Venus Pearl, which use layering techniques where different shades of material are placed to match the natural layers of your tooth (dentine and enamel) and give optimal aesthetics. Conventional surgery lighting has proven inadequate for accurate colour perception during shade taking procedures. To ensure we match your new teeth perfectly with existing teeth, we use Optilume Trueshade. This LED technology produces an immediate and reproduceable diffused light, which eliminates the problem of false light from fluorescent and other conventional surgery light sources. What this means for you is a crown or filling that blends perfectly with the rest of your teeth and looks natural. Tooth whitening toothpastes can remove staining from the surface of teeth, but to improve the overall colour of your teeth, a whitening treatment is more effective. We offer various types of whitening depending on the level of staining and also the reason for whitening, for example for your wedding, a quick brightening up to look your best on photos or as part of full smile design. Tooth whitening involves the use of peroxide-based materials. We use in-office or at-home whitening systems and often a combination of the two. In the dental chair, we use the wy10 system, a highly effective range of cutting edge whitening products. This system uses a unique Thermal Diffuser, which allows an even thermal rise (warming up) of the whitening gel creating an increased diffusion rate of bleaching agent into the enamel structure of the teeth. This innovative technology basically allows a safer, more effective action of the whitening agent on the teeth. The home-based system consists of the dentist or therapist taking impressions of your teeth. Some trays are then fabricated. These have closed reservoirs preventing any leakage of whitening product while in your mouth. We then fit the trays and give you instructions on how to use the whitening products. You must wear the trays while sleeping or for up to two hours per day. Most cases require a couple of weeks but some more severe cases can take up to six weeks to whiten. Should you have any sensitivity during whitening, we will provide you with desensitising agents, which can be placed in the trays following or in conjunction with the whitening system. White fillings, bridges and crowns will not whiten with either of the whitening systems and may need to be replaced in the future to match the achieved whitening shade. We use safe in-office and at home whitening products in line with European laws and regulations and all whitening procedures are closely supervised by Dr Soin. There are a variety of different treatments available for both adults and teenagers to straighten crooked teeth. We will help you choose the right option for you. Our experienced dentist Dr Gunter Flatischler runs a successful orthodontic practice in Portsmouth and visits us on a sessional basis on Saturdays to share his expertise with Dr Soin on orthodontic cases. We offer traditional metal braces, as well as aesthetic ceramic braces and invisible lingual braces. These are fastenings for certain types of dentures and use wires, springs or hinges to allow the denture to move slightly whilst chewing, reducing strain on the surrounding teeth. A precision attachment denture is a denture that locks into your own teeth. This ‘locking’ effect holds the denture in place very securely, giving you the confidence to socialize normally and smile with self-confidence. It is also much more pleasing aesthetically than traditional partial dentures. Gone are the metal clasps (hooks) showing at the front of the teeth standing on either side of the dentures. The attachment itself is made up of two components. The ‘male’ part is glued/cemented to your tooth, and the ‘female’ section is incorporated into your denture. When the denture is in place, the female and the male aspects lock together to attach a very stable structure. Intravenous Conscious Sedation (IV Sedation) is when a drug, usually of the anti-anxiety variety, is administered into the blood system during dental treatment. This produces a state of ‘drowsiness’ without being fully asleep, as you would be under general anaesthesia. It is often the method of choice, because it gives us the most adequate route of pain control, anxiety control and produces the greatest amount of amnesia. We typically use IV sedation for complex tooth extraction, multiple root canal treatments, implants, etc. When you first arrive for your sedation appointment, we place some local anaesthetic cream to numb the areas where the IV will be placed. This is traditionally the back of your hand or the inside bend of your arm. We then proceed with placing the IV in your vein, just like a nurse or doctor would do to take your bloods. That is the extent of the needle you will feel as once this is placed, we will push the sedative drugs through your bloodstream and start getting you relaxed. We can then get you in a comfortable state that we can sustain for several hours if necessary, allowing us to perform the best dentistry. Once you are under the effect of the sedative, we will proceed with your dental treatment, as we would normally do using local anaesthetic. There are still needles involved during sedation to get you numb, but they are a lot more comfortable to handle due to the relaxed state you are in and certainly the amnesia effect of the sedation. You simply do not remember the use of a needle. In the same way you will not remember the use of dental instruments and that dreaded noise of the drill! Both Dr Soin and Mrs Soin have followed extensive training with SAAD (The Society for the Advancement of Anaesthesia in Dentistry) and they also call on the services of Dr Daniel Horner, Consultant Anaesthetist, for the care of those patients who have a compromised or complex medical history as well as vulnerable patients such as teenagers or the elderly. The services of Dr Horner also assist Dr Soin during complex treatments that need extra care.